All over the world, digitally enabled governments are transforming the way they work, organize, and engage with citizens. They are formulating policies, making promises, crafting strategies to enhance and transform public service delivery to meet the needs and expectations of the citizens. In recent time in Nigeria, however filled with a myriad of issues and a perception that government is sleeping more than working, government in many ways has set the ball rolling to join in that digital marathon. 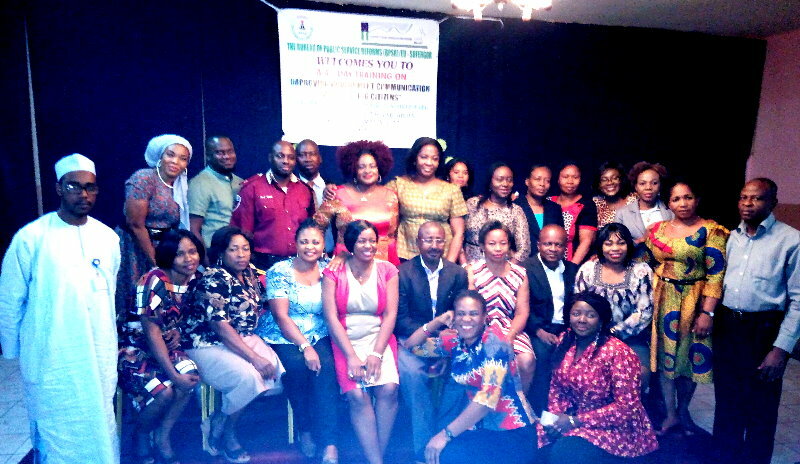 One of such ways is a Government Reform Workshop Program I was part of in Abuja in February 2017 tagged “Improving Government Communication and Engaging Citizens “. 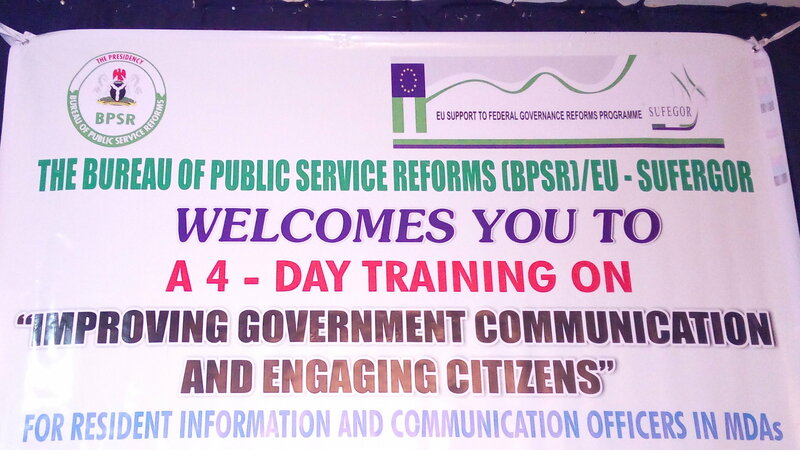 The 4-day training and workshop program put together by the Bureau of Public Service Reforms (BPSR) in support of the European Union was to train and equip over 80 Resident Information and Communication Officers in government MDAs on the capacity to communicate and interpret government policies efficiently and effectively irrespective of situation, particularly in situations of unrest. In present day Nigeria, if one took to the streets to engage citizens in order to gather brief opinions of the government and its activities currently, majority of the response will sound something like’ “government is useless”, “government is not working”, “government is not doing anything”, “the public service is our problem”. But I have always asked three questions whenever I heard such; “who is government”? “is the government evil spirits”? “Is the government not made up of people”? Since founding Orodata and engaging government in our quest to create solutions, find and democratize data, I have come to understand that the issue is much deeper than what many realize; the government is the people, and government can only act better when the people do. The public service is critical in promoting sustainable and equitable social and economic growth. It’s administrative ‘capacity’ is a key factor in effective implementation and communication of government’s policies and programs, but what happens when that ‘capacity’ is highly lacking? Today, as technology and digitalization is rapidly advancing, so is the clamor for good governance and transparency. Good communication capacity and strategies reinforce accountability and transparency, reduces hurdles, challenges and reshapes the relationship between the citizen and government, hence empowering the citizen to even hold government more accountable. The training had an ambitious agenda; to improve the capacity of information officers to communicate effectively using simple, ready – to – understand language; increase their ability to communicate government policies and programs graphically using modern information technology, and other social media; further deepen understanding of the Freedom of Information Act; Improve ability to choose the most cost effective means and channels of communication and to strengthen their ability to communicate government reform initiatives and actions to stakeholders and citizens. The approach employed was to first sensitize the Information officers on ‘the role of Information Communication Technology (ICT)’ in promoting good governance in order to concisely illustrate how ICT is crucial in fostering national competitiveness in the context of a rapidly changing world and global economy. Then came the introduction of concept of ‘Data Socialization’, the process of making sure the right data or information is in front of the right person – a decision maker – at the right time. The first session introduced the participants to how strong ICT capacity can make a difference in the field of governance; how government gains, the rights of citizens to access public documents, the facilitation of transparency and accountability process through Open Data, Open Government and eGovernment. Real life Open Government platform(s) were used as examples and shown to the participants who were also asked to log on to the web addresses in order get a feel of how seamless and easy such platforms made government data and information easily accessible to the public. A second session enlightened the participants on the explosion of ‘noise’ in the ICT space due to digitalization. It also detailed the selective information consumption habits of citizens and how government can break into the noise with its own information. The third was the infographics proper, beginning with terminologies, methodologies, processes and principles. Strong cases of data visualization was made using data from the Nigerian Budget transformed to infographics. The participants were also taught the history of infographics and how it was used to address societal challenges, from crime rates, agriculture, employment to epidemics. The fourth session comprised of a hands-on training on data visualization and storytelling tools and better processes of turning data into engaging charts, infographics and visual stories. 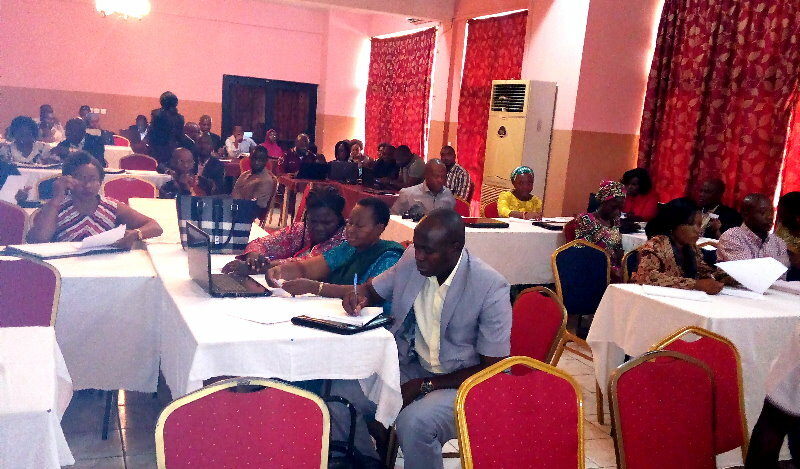 Participants were encouraged to follow suit using their laptops in a step by step hands-on practical process. At the last session, the participants now in groups were instructed to craft visual information products using different techniques learnt earlier. Transformation and reform is a tedious but a continuous process. Although the Information Officers are not likely to master the communication techniques overnight, however much is expected of them, especially in the continued employment of the knowledge garnered at the training until it’s mastered. The workshop served as an introduction to the building blocks of knowledge towards a digital economy where better tools and processes are employed continuously to make public officers work effectively while delivering citizen focused goods, services and information on a real-time basis, at the right time, to the right target audience. The event took place in Abuja between 6th to 9th of February 2017.